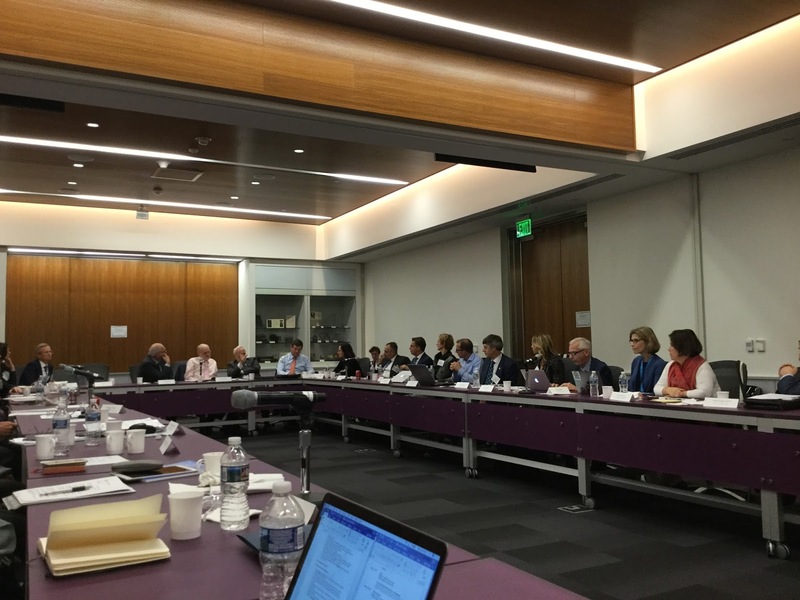 Nancy E. Gwinn and Martin R. Kalfatovic attended a two day meeting, "Aim, Scope, and Challenges of Research Museums: An exchange between the Smithsonian Institution and the Leibniz Association " on 30-31 October. Anne Evenhaugen also participated in the meetings as part of her Emerging Leadership Development Program. 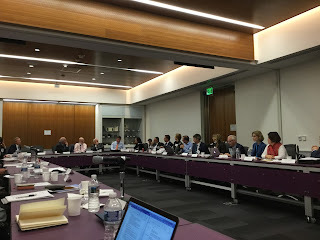 Organized by Scott Miller, Deputy Undersecretary for Collections and Interdisciplinary Support (DUSCIS), the meeting brought together a number of Smithsonian staff and representatives from a number of the 91 institutional members of the Leibniz Association. 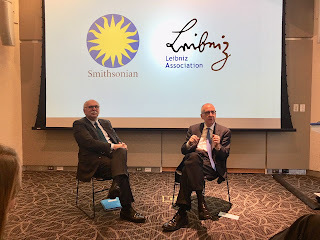 The Leibniz Association is a union of German non-university research institutes from various branches of study and has a number of similarities to the Smithsonian Institution. Leibniz Association President Matthias Kleiner. The two discussed areas of overlap, common goals, and areas of collaboration between the two organizations. 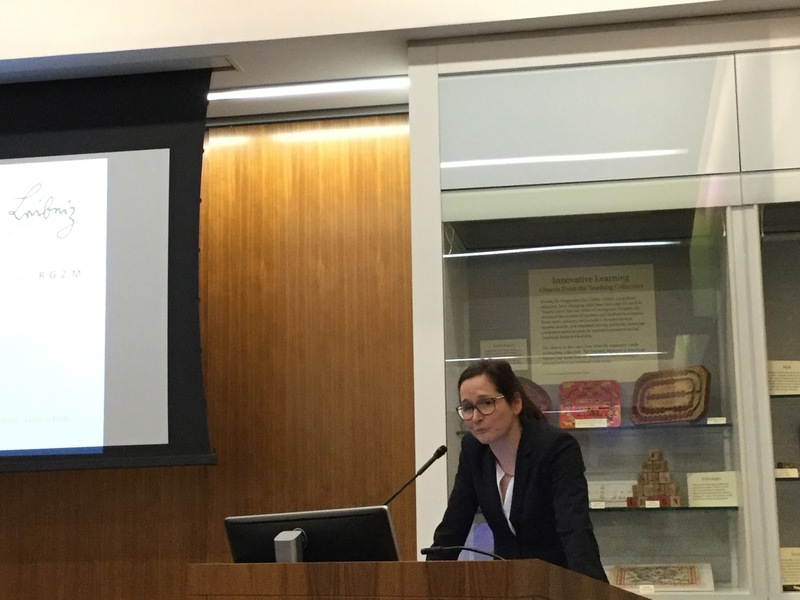 The first session was "Understanding of Research Museums at Smithsonian and Leibniz". Participants introduced themselves and Scott Miller provided an overview of the Smithsonian while Sunhild Kleingärtner (German Maritime Museum) did the same for the Leibniz Association. There followed a discussion: Discussion / Questions: What status does research have in your exhibitions? How do research and exhibitions interact? What social role and responsibility do museums have with regard to a culture of remembrance (Erinnerungskultur)? The meetings concluded with a session on looking at further collaborations and next steps. Smithsonian Provost John Davis joined the group for this portion of the discussion. There was a discussion about possible collaborative projects around the German+American experience. The planned exhibition research from SAAM around Alexander von Humboldt. A Vast Library of Life: The Biodiversity Heritage Library. Martin R. Kalfatovic. 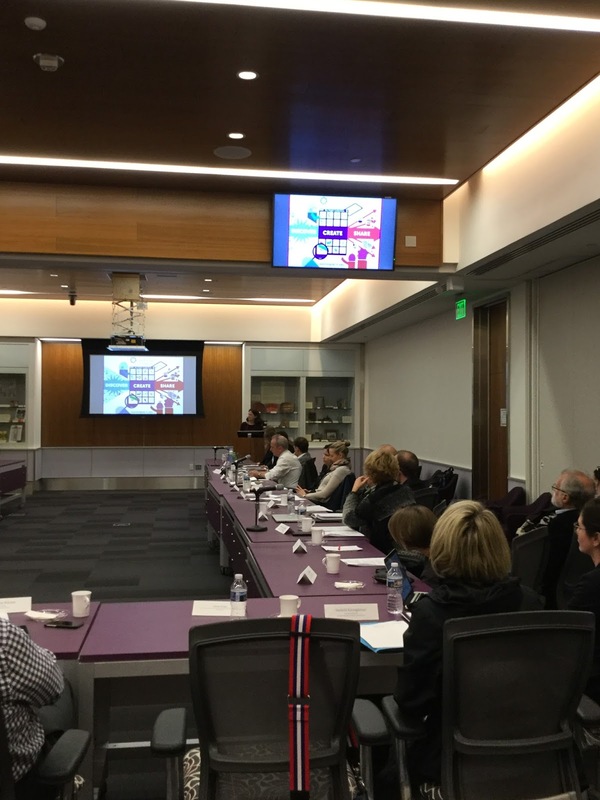 Aim, Scope & Challenges of Research Museums: An Exchange between the Smithsonian Institution & Leibniz Association. Washington, DC. 30 October 2017. 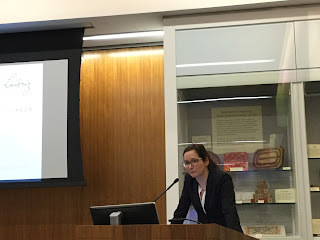 Smithsonian Libraries in Service of Scholarly Communications: An Introduction to Smithsonian Research Online & Other Resources. Martin R. Kalfatovic. Aim, Scope & Challenges of Research Museums: An Exchange between the Smithsonian Institution & Leibniz Association. Washington, DC. 30 October 2017.